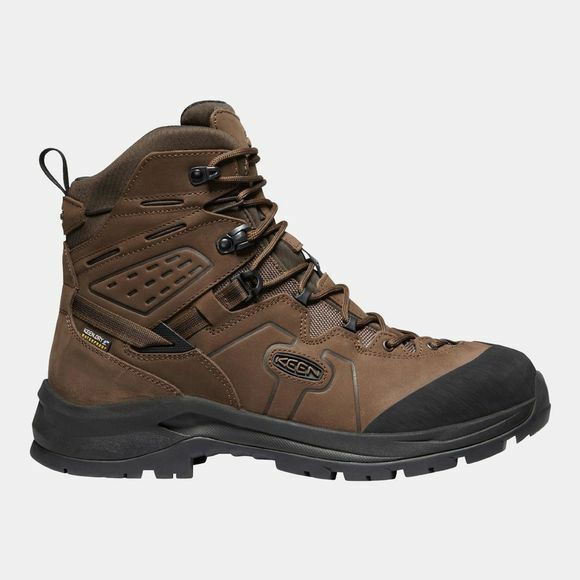 The Men’s Karraig Waterproof Boot is a flagship model from Keen and has been specifically built for challenging ascents and backpacking trips on demanding terrain. A waterproof premium leather and performance mesh upper and higher rebound PU midsole deliver durability and resilient cushioning, whilst a full length board last provides added stability and protection you can rely on when traversing undulating terrains. Featuring the unique combination of an integrated dynamic ankle support, contoured heel lock and an additional lace locking eyelet, the Karraig offers security, adjustability and a precision feel like no other. 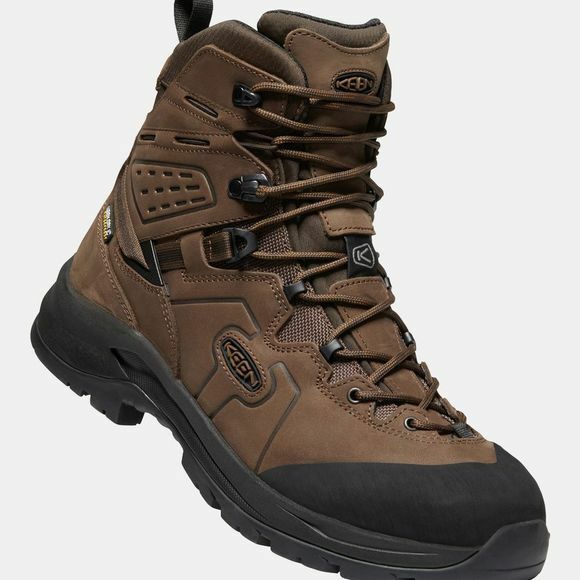 Designed and crafted in Italy with premium construction and using their highest-traction Keen All-Terrain rubber outsole with aggressive lugs which provide durability and reliable traction and a heel brake system that helps offer control on the descent. A Keen Dry waterproof, breathable membrane and breathable mesh lining featuring Eco Odor Control with Cleansport NXT, keeps feet sweet, comfortable and dry even in warm or inclement conditions with no use of harmful PFCs. Removable dual density EVA footbeds with arch support deliver all day comfort and a flawless fit. Classically styled with Keen’s distinctive design in its DNA, the Karraig features a high abrasion rubber tip, providing added durability and protection on challenging approaches.